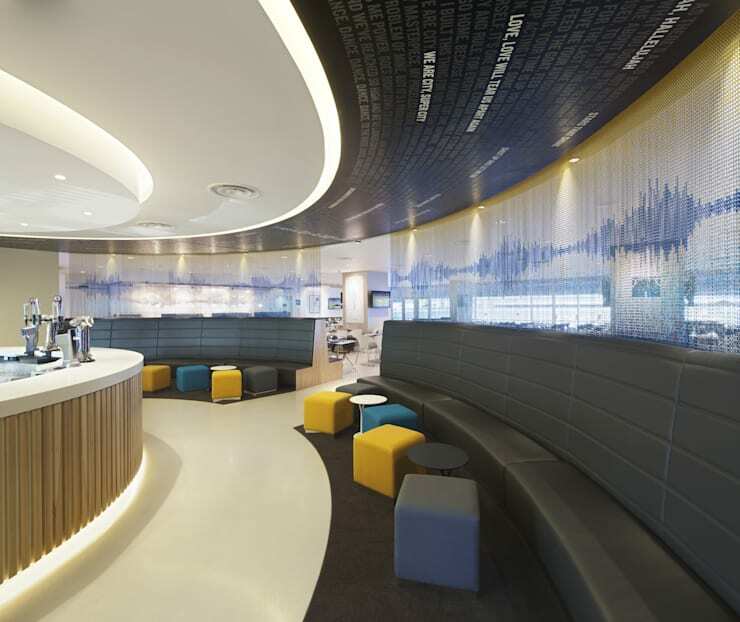 The Mancunian has been given a complete facelift with a young, edgy and urban look encapsulating Manchester culture. 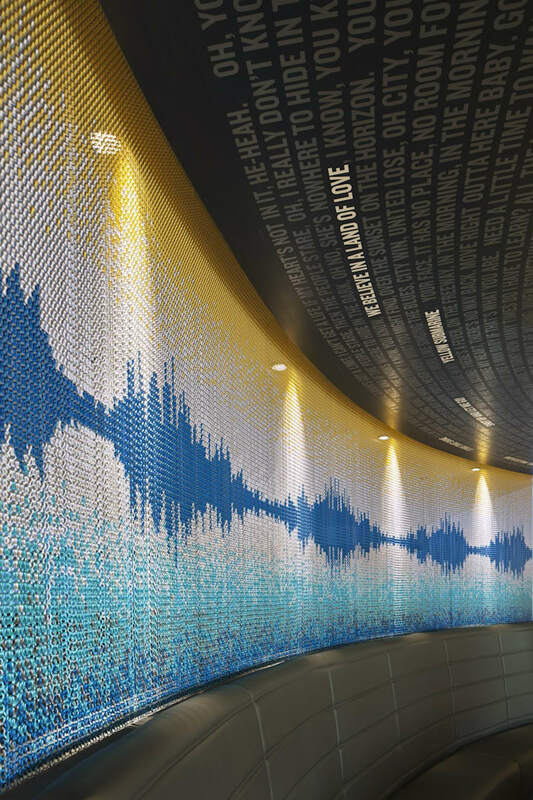 The space is adorned with graphic representation of the Club’s famous chants and Manchester music, there are KriskaDECOR chainmail screens that are printed with the soundwaves of iconic songs and lyrics on the ceiling. The refurbished suite will be bold in its design with a lot of vinyl finishes and monochromatic colours. 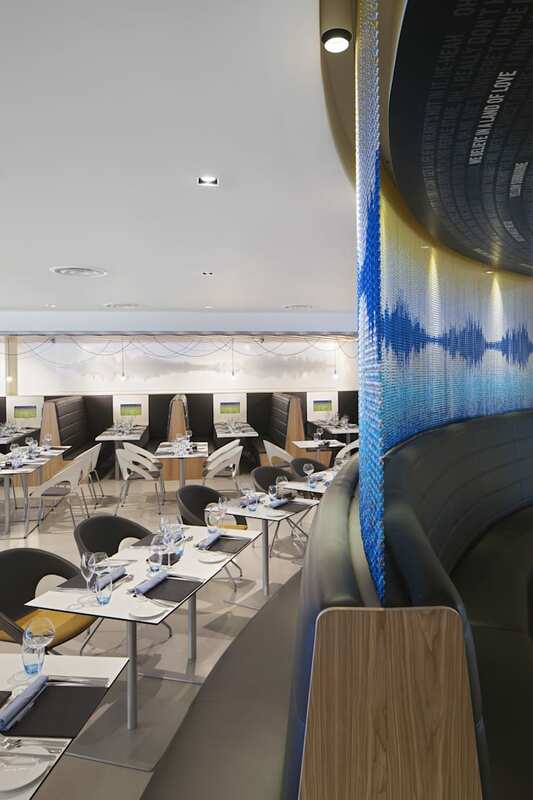 One of the most radical changes is to completely move the bar to the front of the space which not only creates a dramatic entrance, but also opens up what is one of the best panoramic views of the pitch in the whole stadium, making the hallowed turf the perfect backdrop to this new uber stylish offering.